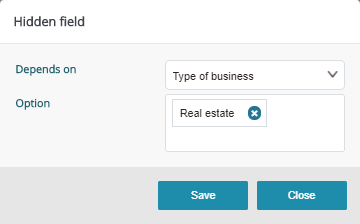 Field "Type of business" should comprise the following optional values: "Real estate", "Car dealer" and "Law firm". 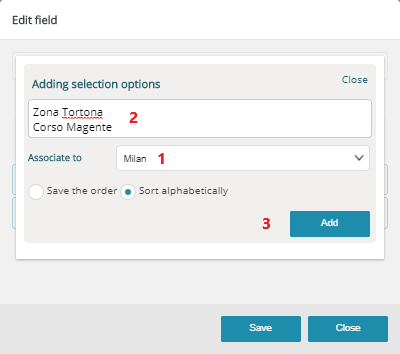 Selecting "Real estate" in field "Type of business" should trigger field "Working location" with the following optional values: "Rome", "Verona", "Milan". 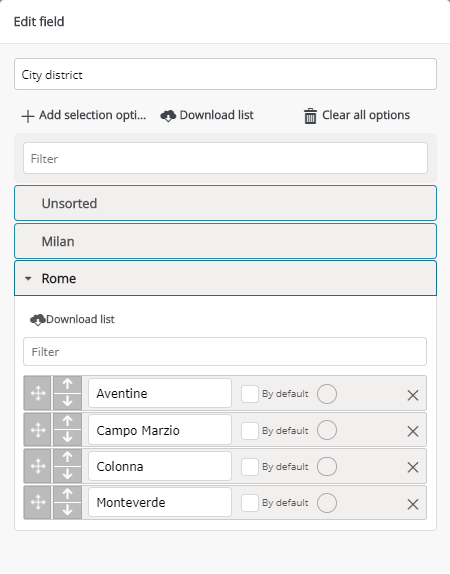 Selecting one of the cities above should trigger field "Working district" displaying all the relevant districts and the option to select multiple values. Selecting "Rome" or "Milan" should trigger obligatory field "Metro". Selecting "Car dealer" as "Type of business" should trigger obligatory field "Models vended". Selecting "Law firm" should trigger a non-obligatory "Yes/No" selection field called "Certified for real estate", and an obligatory field named "Business foundation date". 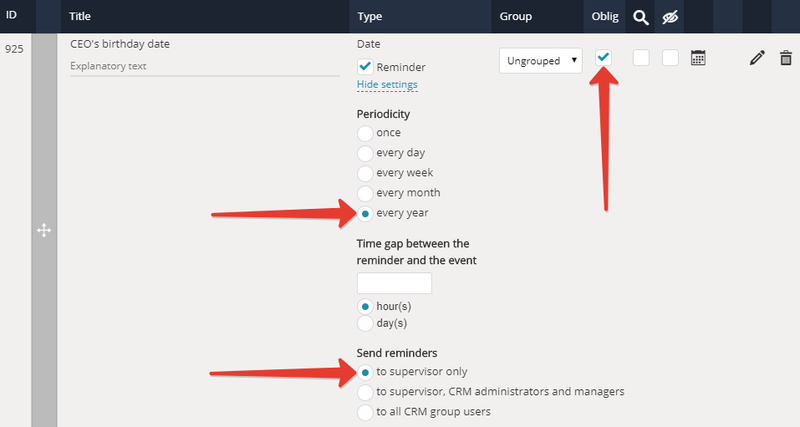 Field "CEO's birthday date" should be displayed for all business types and a notification for the relevant supervisor should be activated. 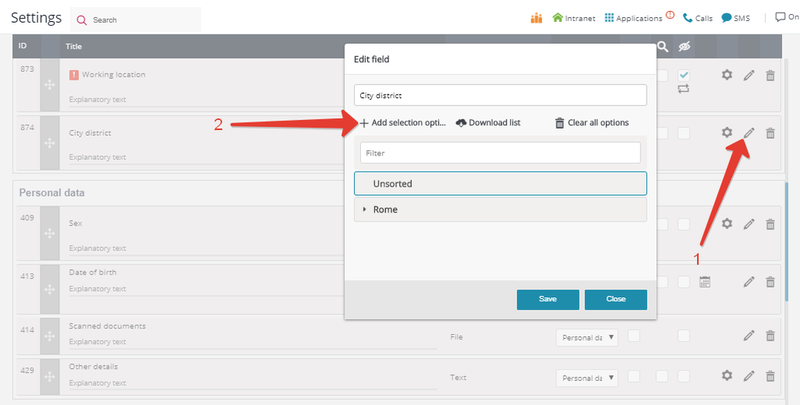 Add field "City district" and select "Multiple choice" as its type. Add field "Models vended" on the analogy, and associate it to "Type of business", value — "Car dealer". Make it obligatory. Add "Certified for real estate" of "Yes/No" type. Hide the field and associate it to "Type of business", value — "Law firm". Add "Business foundation date" of type "Date". Make it obligatory and hidden. Associate it to "Type of business", value — "Law firm".